This chart of meridian and point is a popular edition for acupuncture, moxibustion, massage, and for both schooling and treatment, and is also a reference for Qigong and Chinese gong fu. This chart follows the national standard of China. The National Technique Supervise Bureau issued the National Standard of GB 12346-90, "The Location of Point" of the People's Republic of China in 1990, which was carried out in 1991 . GB/T1373492, "The Nomenclature and Location of Auricular Points", was carried out in 1993. On the other hand, "The International Standard Acupuncture Point Names" was pressed by W.H.O. in 1991. The standardization above is easier for experience exchanging over the world. So, in this chart, the points and 8 needling method of 14 Meridian Points, Extra points, Auricular points and Scalp points will follow the standards. Acupuncture And Microsystem Wall Chart describes 12 regular channels, the Ren and Du vessels and their points, as well as standard extra points. 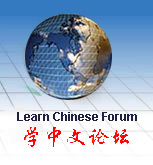 Alphanumeric designations and traditional Chinese characters are both presented. Three charts depict anterior, posterior, lateral views, and are identical to PMPH's Acupuncture Point Wall Chart. The fourth and fifth charts are entirely devoted to Microsystems: scalp, foot, face, ear, and wrist and ankle.